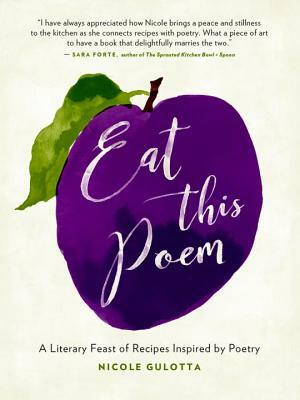 A literary cookbook that celebrates food and poetry, two of life's essential ingredients. Nicole Gulotta is a writer, recipe developer, and the creator of Eat This Poem, a literary food blog that has been recognized by publications including Saveur, the Los Angeles Times, Better Homes and Gardens, and Poetry. Nicole received an MFA from Vermont College of Fine Arts and studied literature at the University of California, Santa Barbara. She lives in Los Angeles with her husband and son. Visit her online at www.eatthispoem.com.